The Skansen Smaków Regional Inn situated over the beautiful lake in Kryspinów, far from the city noise, with green areas around, just 15 minutes away from the historical centre of Krakow. 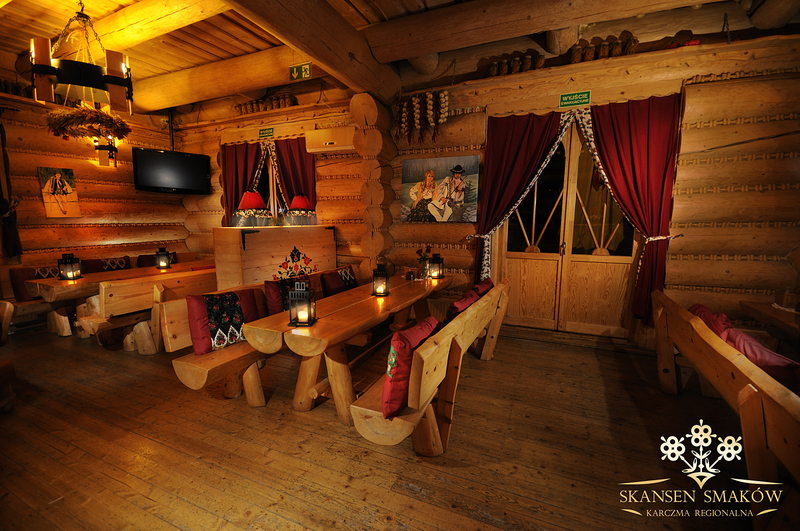 You can forget about everything here… feel the atmosphere, smell and flavour of the prosperity era of old Polish inns. When you sit at wooden tables full of delicious traditional Polish dishes, you cut yourself off from your troubles and sorrows. We serve Polish cuisine. 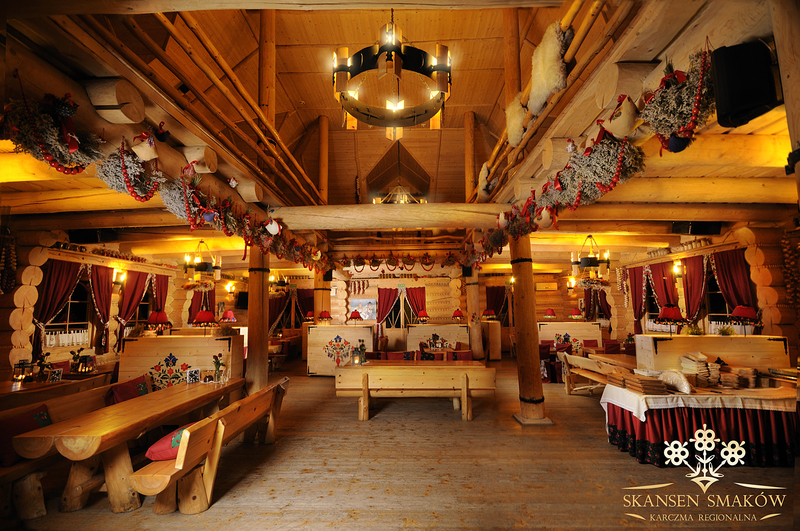 The decoration of our Inn is based on classic old Polish inns. Our beautiful regional interiors accommodate up to 250 people. quality service. Read the opinions of our guests here. Our Inn is a perfect spot for having coffee on the go with your friends, business lunch, a family reception, wedding reception, lunch in a group or a corporate event. You should definitely come and visit our place. You're welcome!